The World's Affairs, With Sharper Commentary, More Humor and Better Pictures. 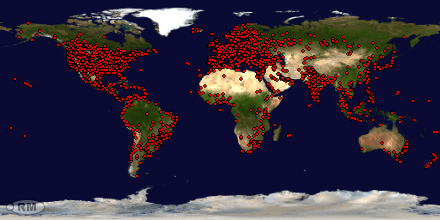 Visitors from 131 countries: Albania, Algeria, Angola, Antigua and Barbuda, Argentina, Armenia, Aruba, Australia, Austria, Azerbaijan, Bahamas, Bahrain, Bangladesh, Barbados, Belarus, Belgium, Bermuda, Bolivia, Bosnia and Herzegovina, Botswana, Brazil, Brunei, Bulgaria, Burkina Faso, Cambodia, Canada, Cape Verde, Cayman Islands, Chile, China, Colombia, Costa Rica, Croatia, Cuba, Cyprus, Czech Republic, Denmark, Dominica, Ecuador, Egypt, El Salvador, Estonia, Ethiopia, Finland, France, Gambia, Georgia, Germany, Ghana, Greece, Guatemala, Guyana, Hungary, Iceland, India, Indonesia, Italy, Iran, Iraq, Ireland, Israel, Jamaica, Japan, Jordan, Kazakhstan, Kenya, Kuwait, Latvia, Lebanon, Libya, Lithuania, Luxembourg, Macedonia, Malawi, Malaysia, Maldives, Malta, Mauritania, Mauritius, Mexico, Micronesia, Montenegro, Morocco, Mozambique, Nepal, Netherlands, New Zealand, Nicaragua, Nigeria, Norway, Oman, Pakistan, Palestinian Territory, Panama, Paraguay, Peru, Philippines, Poland, Portugal, Puerto Rico, Qatar, Republic of Korea, Romania, Saudi Arabia, Serbia, Singapore, Slovakia, Slovenia, South Africa, Spain, Sri Lanka, Sudan, Sweden, Switzerland, Syria, Russia, Taiwan, Tanzania, Thailand, Trinidad and Tobago, Tunisia, Turkey, Uganda, Ukraine, United Arab Emirates, United Kingdom, Venezuela, Vietnam, Yemen, Zambia, Zimbabwe and the US. The Muslim world, from North Africa to Iran, has experienced a wave of instability in the last few weeks. 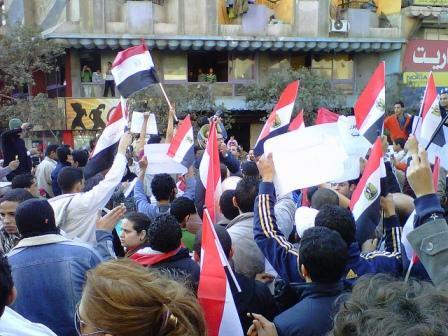 No regimes have been overthrown yet, although as of this writing, Libya was teetering on the brink. There have been moments in history where revolution spread in a region or around the world as if it were a wildfire. These moments do not come often. Those that come to mind include 1848, where a rising in France engulfed Europe. There was also 1968, where the demonstrations of what we might call the New Left swept the world: Mexico City, Paris, New York and hundreds of other towns saw anti-war revolutions staged by Marxists and other radicals. Prague saw the Soviets smash a New Leftist government. Even China’s Great Proletarian Cultural Revolution could, by a stretch, be included. In 1989, a wave of unrest, triggered by East Germans wanting to get to the West, generated an uprising in Eastern Europe that overthrew Soviet rule. There has been a tendency among western commentators during the past few weeks of popular uprising in the Middle East and north Africa to interpret the events as occurring along starkly defined fault lines. There are the people versus the regime; Islamists versus the secular; and autocratic, corrupt rulers pitted against a popular desire for democracy, human rights and economic inclusion. All of which contains some truths, but it remains a partial picture. Security forces and government supporters employed a growing panoply of violent force — from tear gas and batons to shotguns and grenades — in pitched street battles with anti-government protesters in Libya, Bahrain and Yemen on Friday. The clashes followed a week of deepening unrest as protesters, emboldened by the toppling of President Hosni Mubarak in Egypt and President Zine al-Abidine Ben Ali in Tunisia, have called for swift revolutions in their own countries. The battle lines between protesters and authoritarian rulers across the Arab world appeared to be hardening, with governments turning to an increasingly brutal script in trying to quash the protests that have swept the region. 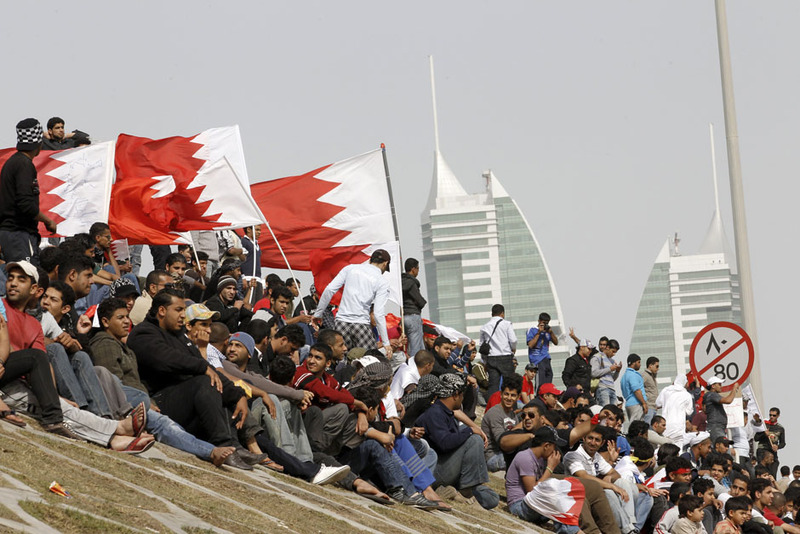 Parts of the Middle East and North Africa are set for renewed displays of public anger toward their governments today, with the focus on Bahrain and Libya as protesters bury people killed in recent clashes. Crowds have taken to the streets in Libya, Yemen, Iran and Bahrain over the last few days demanding at the very least more representation and at the most the overthrow of leaders. The protests, inspired by popular revolts in Tunisia and Egypt that saw veteran presidents of both countries driven out of office, have forced the authorities to react, sometimes with fatal consequences. Thousands of anti-government protesters were on the streets of Libya’s eastern city of Benghazi early on Friday, a day after “day of rage” demonstrations led to fatal skirmishes with the security forces. 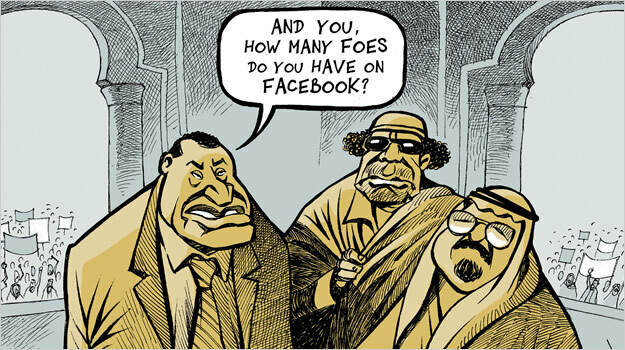 BBC radio, quoting an eyewitness, said protesters against Muammar Gaddafi’s four decades long rule had clashed with security forces, who were using guns, and doctors had counted the bodies of 10 people. Why Can’t Israel Support People In Egypt? I will forever remember a television interview many years ago in which Shimon Peres retold how the Oslo negotiations with Yasser Arafat started off poorly. Peres and Yitzhak Rabin were frustrated by Palestinians disinterest in details of various Israeli proposals. After a half decade of seemingly hopeful developments, the drive for political reform in the Arab world has ground to a halt. 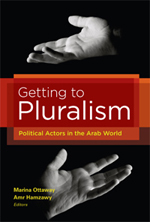 In their new book, Getting to Pluralism: Political Actors in the Arab World, the Carnegie Endowment for International Peace’s Marina Ottaway and Amr Hamzawy present the collected findings of years of research and direct engagement with key political actors across the Arab World. They discussed these findings with New York Times columnist Thomas Friedman, in an event moderated by Carnegie’s President, Jessica T. Mathews.